Choose for yourself a bowl to use especially for this ritual. Use a natural material such as ceramic or wood unless you have a good feeling from more modern materials. Below is a list of the different barks you can use. Ash: use it for fire energy. However, I find that it makes for rather dry incense. Birch: use it for water and yin energies. Cedar: use it for yang energies and also for purifying. This also makes a dry incense. Oak, Red or White: use it for yang energies. Pine: use it for yin energies. Makes a very nice texture and usually turns very dark when oils are added. 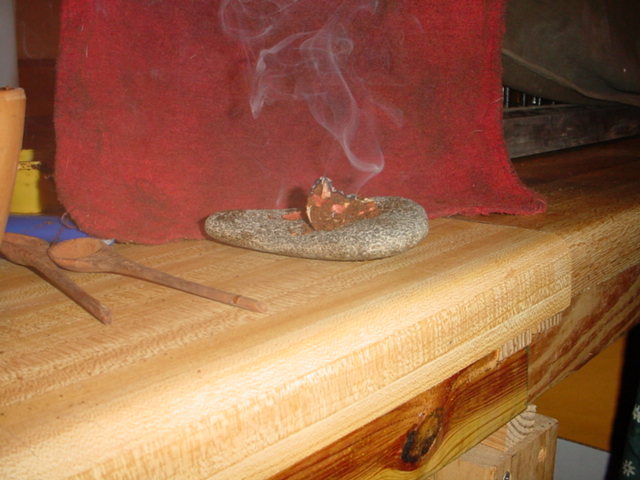 Sandalwood: the best to use for any incense. Unfortunately, sandalwood is very expensive compared to the other powdered woods. The yellow is more so than the red, but if you add some of the red to your other bases in varying amounts it makes nice color changes. Slippery Elm: best for yin energies but I find it to be very good for a base for all incense replacing sandalwood. Wild Cherry: use for your love and passion incenses. WiIllow, Black or White: use in yin energies. In your ritual bowl pour a measured amount of base. 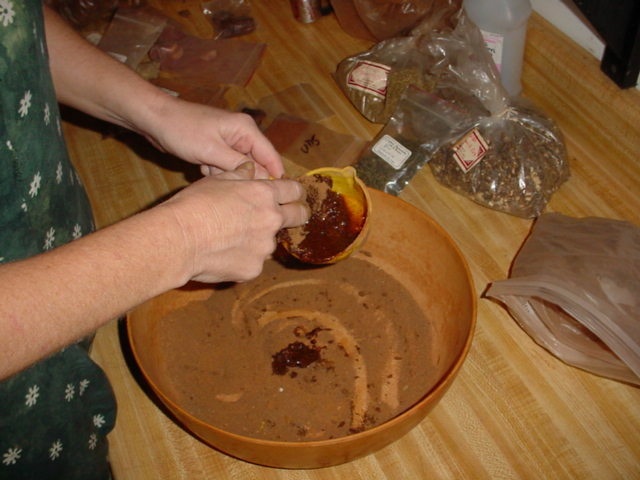 For larger batches use 3 cups of base to 2 ounces of liquid. For smaller amounts use 1 cup of base to 2 drams of liquid. Mix the oil and alcohol with your finger. 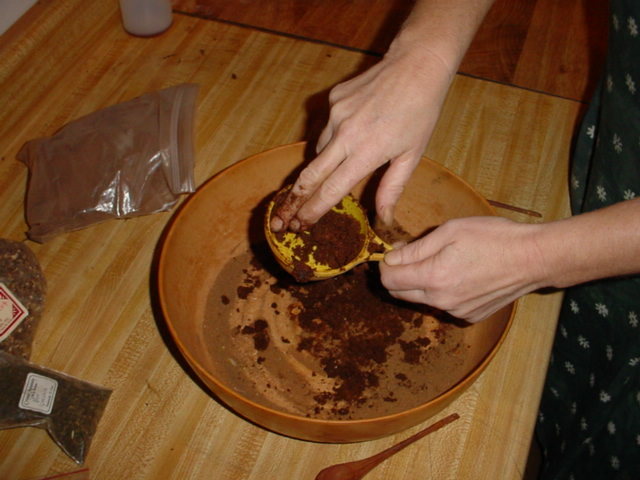 Hold the cup over your ritual bowl and pour a handful of base powder into the cup and mix. 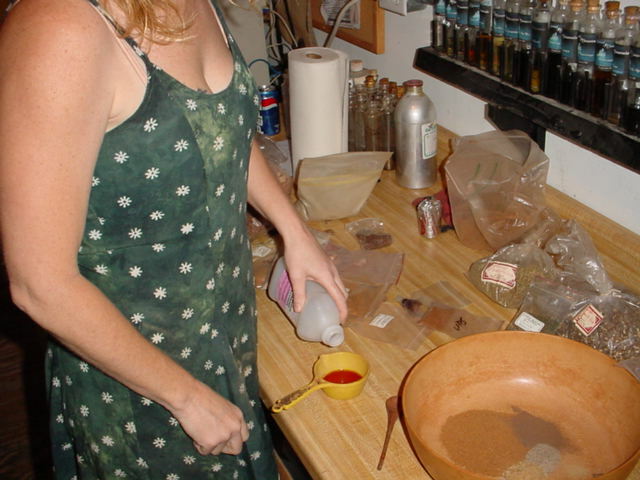 Keep pouring powder into the cup and mixing until all liquid is absorbed. 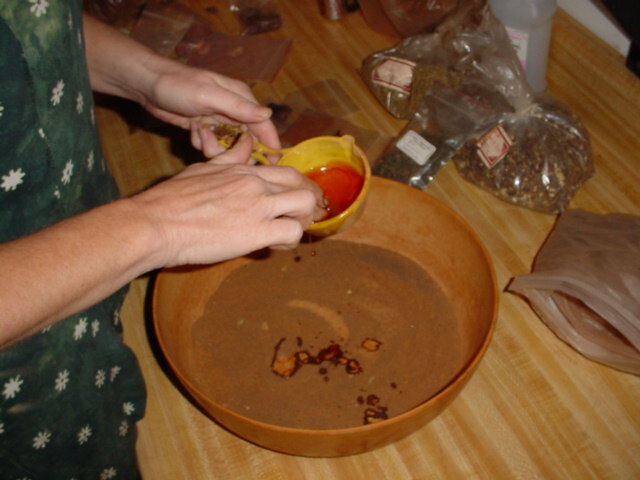 Do not worry about spillage into the ritual bowl, it will get mixed in. 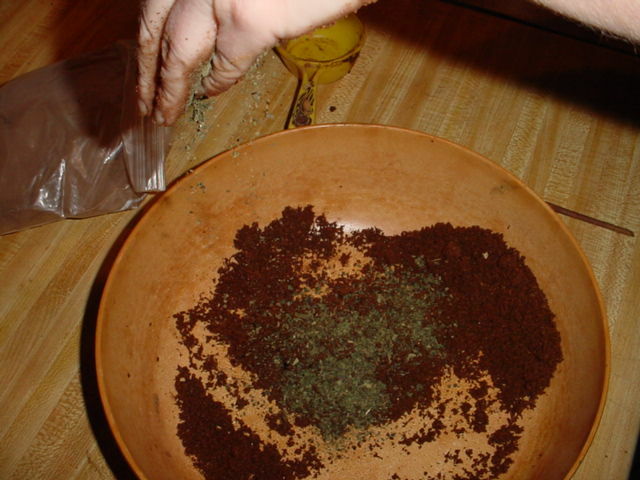 Scrap all the damp powder into your ritual bowl, even using more powder to wipe dry all the oil on the cup and mix with your hands until it is evenly mixed. This is where you put your personal energies into the incense. 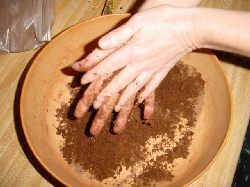 Rub it between your palms and fingers and stir it until it is all a consistent texture. Once done it should be very lightly damp but not clumpy. Now mix in your chosen herbs. 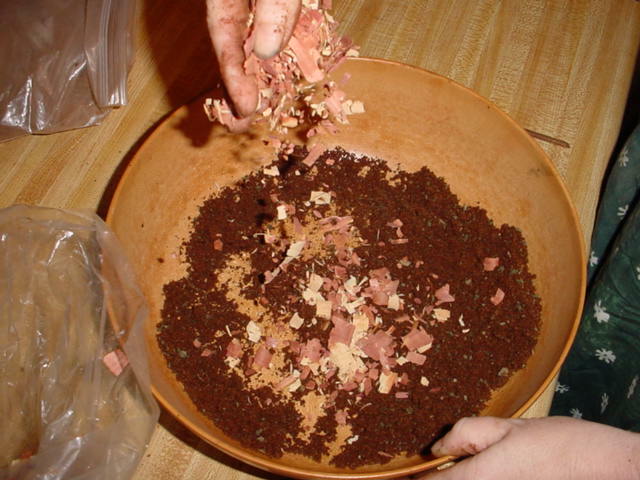 Generally about 1/2 cup each herb for larger batches and "to taste" for smaller ones. 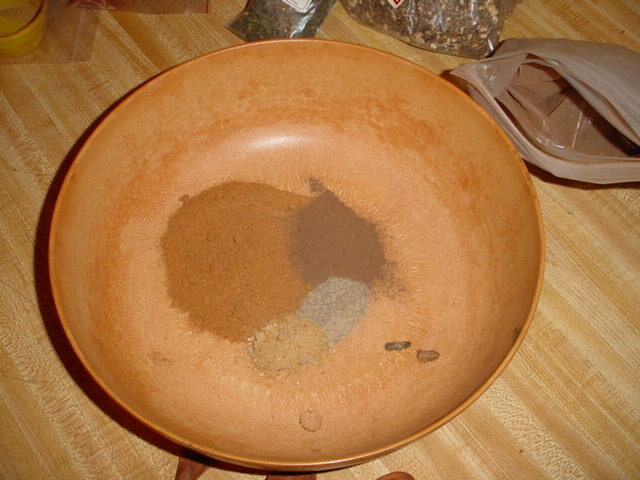 The variety of herbs can give your incense a wonderful contrasting texture against the powder itself. 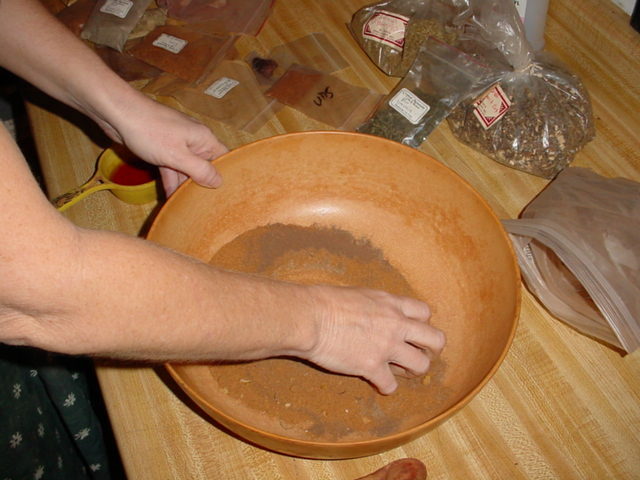 All of your herbal ingredients should be in cut form unless otherwise stated. When using rose petals or other such flowers pull off the centers and use only the petals. 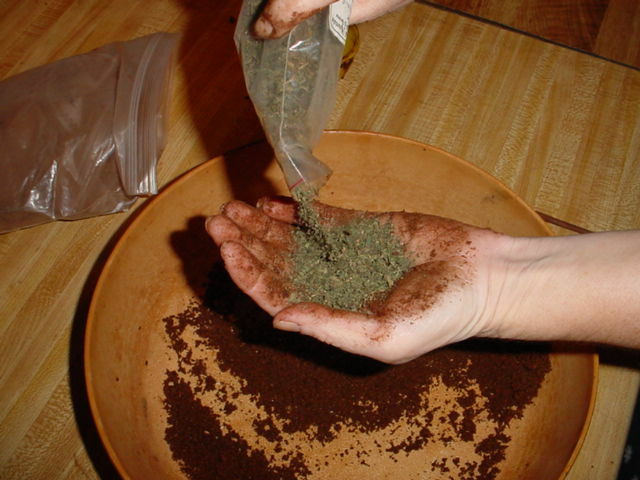 I use dried herbs, as they are the easiest to obtain. You may put in any herb that is also an oil and visa versa. 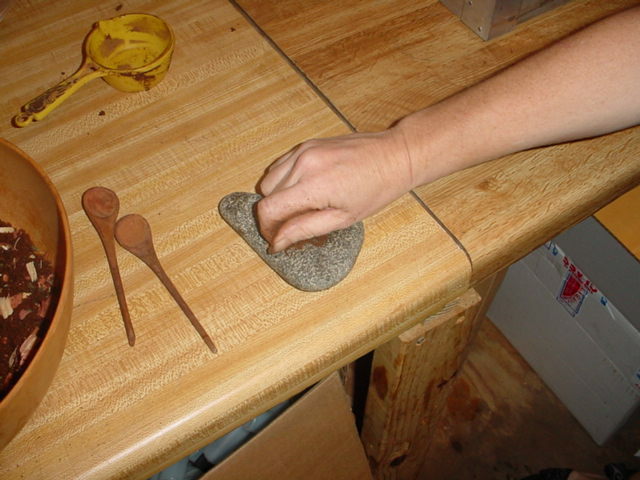 When done, place a pinch between your forefinger and thumb and place on any non-burnable surface such as a shell, rock, ceramic, charcoal or wood (CAUTION! 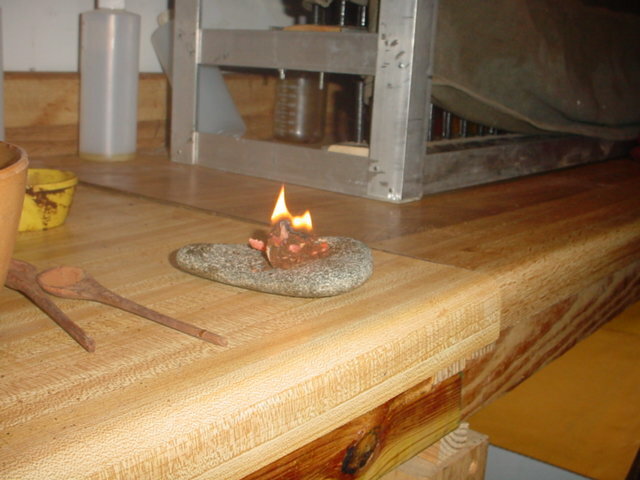 - the wood will scorch the surface so make it a designated piece of wood) and light it to honor the energies you are summoning. Keep in mind that these are the recipes we have used. According to your research, and more importantly, your feelings, substitute whatever you feel is best. There are lots of places you can find on the web for your source of materials. However, we have long enjoyed St. John's Botanicals in Bowie, Maryland (301) 262-5302. 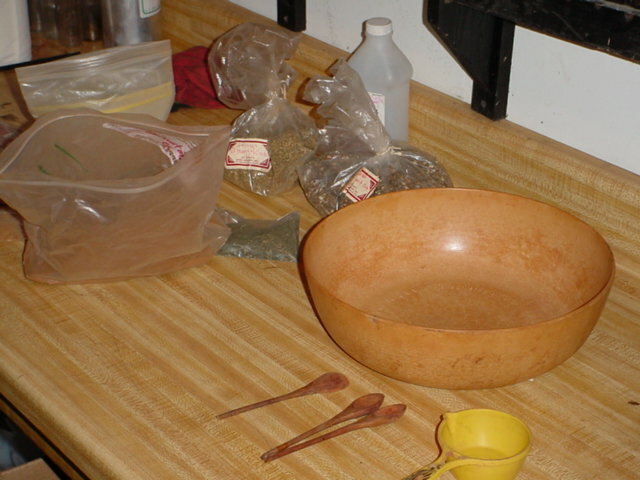 They offer a good variety of all of these materials and you can order small amounts (by the ounce).